The new Phantom has less riding on its shoulders than the previous generation, so its recipe largely stays the same. Its V-12 engine is now twin-turbocharged, and the car adds more modern amenities. LONDON — In 2003, Rolls-Royce pinned the future of its brand on the then-new Phantom VII sedan. The massive vehicle -- literally and figuratively -- was the first Rolls designed and built under the financial and technological stewardship of parent company BMW, and it firmly planted the once-staid Rolls brand in the 21st century. Fast-forward 14 years to the July debut of its successor, the Phantom VIII, and the model is still very much a behemoth (with 287 pounds/130 kg of sound deadening). It still sits atop the Rolls-Royce/BMW hierarchy, and company executives still refer to it in reverential terms such as "pinnacle," "flagship" and "ultimate." But over that decade and a half, Rolls-Royce has changed. 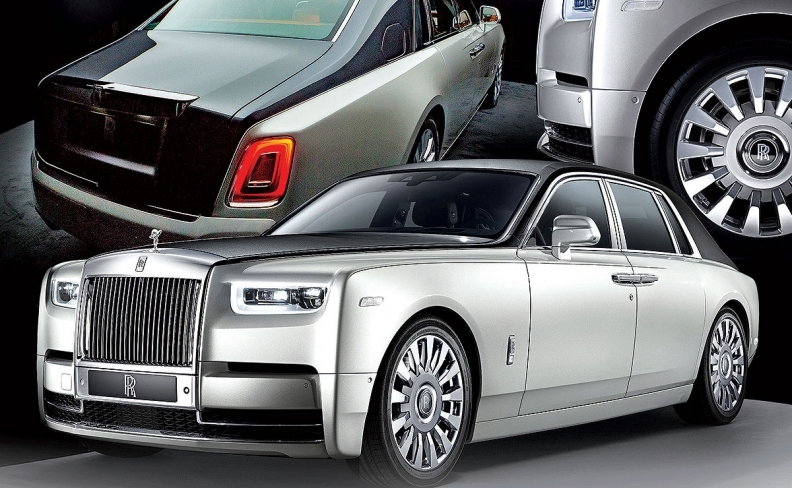 The Phantom has eroded almost to professor emeritus status within the Rolls-Royce lineup. Smaller, more approachable models have surged to the top of Rolls' sales charts, accounting for roughly 85 percent of Rolls' 4,011 global sales in 2016, according to the automaker. Those sales came from a trio of models, starting with the Ghost sedan introduced in 2010, which was later spun into a coupe variant called the Wraith and a convertible dubbed the Dawn. Performance-minded Black Badge variations of all three were tasked with enhancing the brand's appeal among a younger set of global 1 percenters. And 2018 will mark the arrival of what Rolls is calling Project Cullinan: a crossover built on the Phantom VIII's aluminum architecture. These broader horizons have had the kind of effect at Rolls that all automakers covet: Its buyers are now younger. Before the Ghost was launched, the average age of a Rolls buyer was 56. Today, it's 45, according to the automaker. Those buyers include the same captains of industry, heads of state and professional athletes and entertainers who gravitated toward the Rolls of yore. But this modern era has pulled in a wider audience, Torsten Mueller-Oetvoes, CEO of Rolls-Royce, told Automotive News. That's backed up by what dealers see, too, particularly the introduction of the Wraith coupe and the Black Badge models. "That has really, really gone a long way in actually bringing in a totally new buyer and shedding that stigma of Rolls-Royce being the old man's car, so to speak," said Alan Sheynin, Rolls-Royce sales manager at Miller Motorcars in Greenwich, Conneticut. Relaunching the brand in the modern era with the Phantom VII in 2003 provided a halo that could spread to the lesser subsequent models. "I think it was wise to relaunch the brand with Phantom to come from the top and not to come from somewhere in between and then to go up to the top," Mueller-Oetvoes said. "That never works for a lot of branding reasons." With less riding on its shoulders, the Phantom VIII doesn't change the recipe of its predecessor. It has a 6.75-liter V-12 (now twin-turbocharged where it was previously naturally aspirated), a satellite-linked eight-speed transmission from ZF and some of the softest leather in the industry. To this, Rolls added more modern amenities (digital screens in the instrument panel, a Wi-Fi hot spot and power doors that close at the touch of the valet's hand), rear-wheel steering, more trunk space and bespoke options. Bigger changes to the car loom, including a jump into full electrification sometime in the next decade, Mueller-Oetvoes said. Despite the success that the Ghost, Wraith and Dawn have had in broadening Rolls' customer base, there is a firm floor to where Mueller-Oetvoes wants to take the brand. A V-8 model in the name of higher volumes? Never. That would be like asking a Swiss-watch enthusiast to accept a less-intricate movement, he said. "This is detrimental for luxury," Mueller-Oetvoes said. "It's not what we would do."